It's rare to see royals stomping about through the mud, but a recently unearthed set of photographs shows Princess Diana and Prince Charles doing exactly that. These rare candid photographs belonged to the late housekeeper of Queen Elizabeth's cousin Princess Alexandra. They were discovered by the housekeeper's son and reveal a relaxed Princess Diana in the early years of her marriage to Prince Charles. The photos offer a rare glimpse into Diana's life away from the public eye. 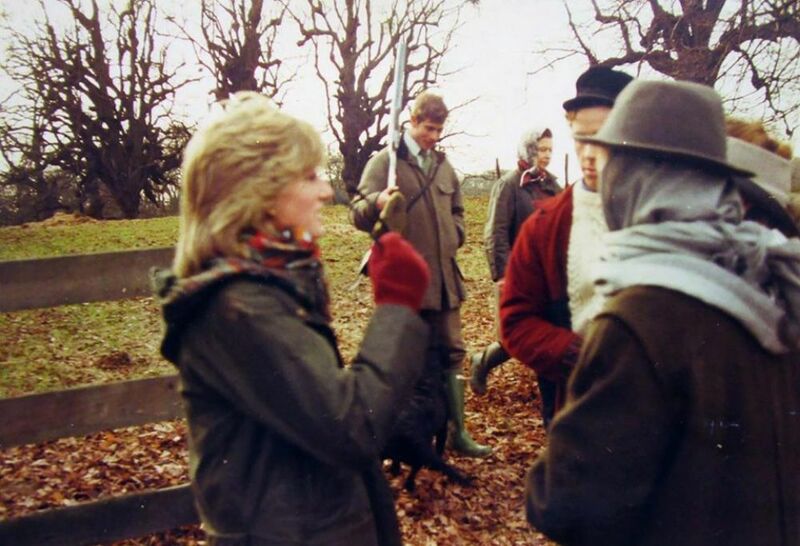 They show the late Princess of Wales enjoying a country shoot in the early 1980s with Prince Charles and friends. 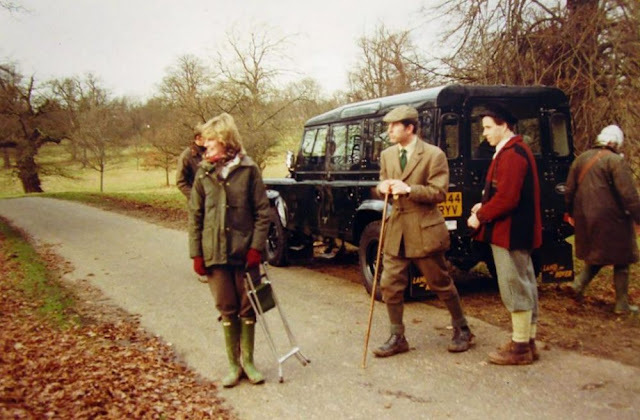 Diana looked at ease in the countryside as she joined a shooting party during what appears to be the autumn season. 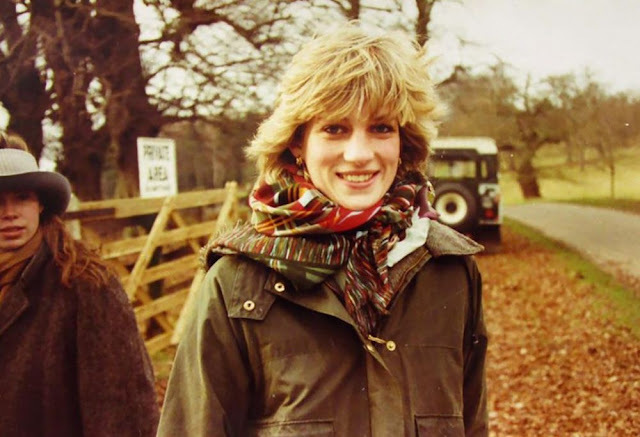 She was dressed casual for the outing sporting an olive green jacket and taupe pants, which she accessorized with a printed scarf, red mittens and boots. Princess Diana, centre, smiles at the camera while dressed in a Barbour and silk tartan scarf while on a shoot in the countryside. Behind her is Princess Margaret's daughter Lady Sarah Chatto, left. 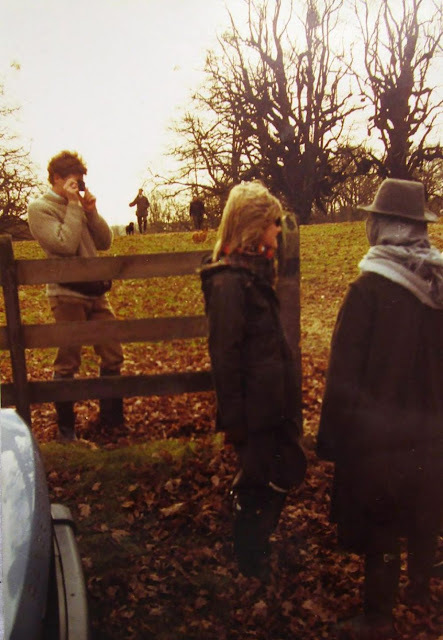 Princess Diana, left, and her husband Prince Charles, centre, look out across the fields, which are covered in leaves. Diana, left, appears relaxed and at ease while chatting to friends. Diana, centre, looks out onto the fields as a male friend, left, photographs the group. 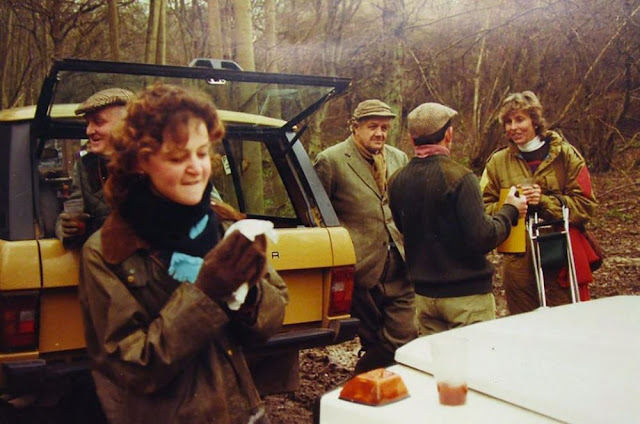 The shooting party were photographed tucking into snacks and hot drinks. 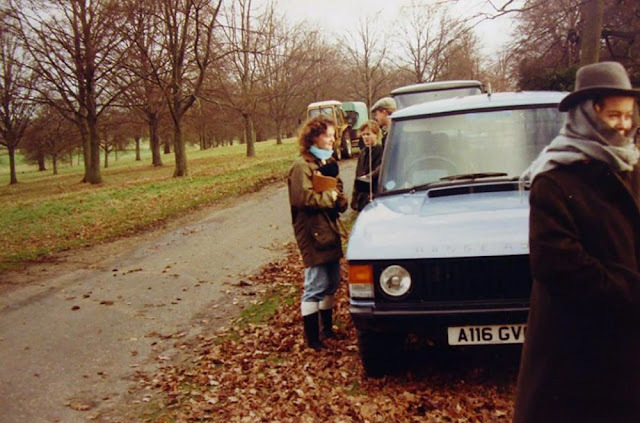 The group were spotted gathering by their Range Rovers before making their way into the fields. 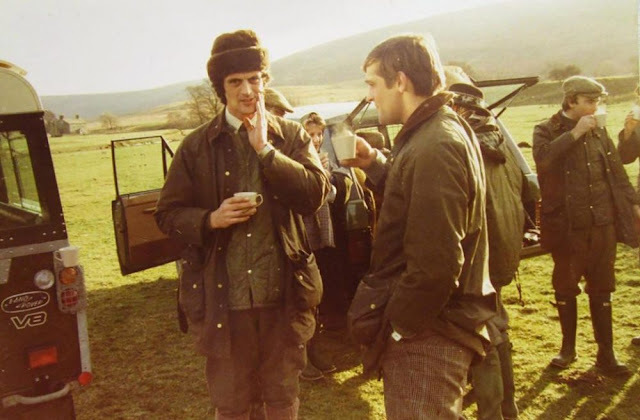 The group, all dressed in Barbour jackets, are believed to be in the grounds of a country mansion.